Maintain contact with existing clients and start conversations with new ones through XSellerate — your automated, proactive marketing expert. With XSellerate, marketing is easy, and you’ll get more repeat business, referrals, and new clients as a result. With automated print and email campaigns, you’ll thrive throughout the year regardless of what the market is doing. XSellerate is your automated, proactive marketing expert. 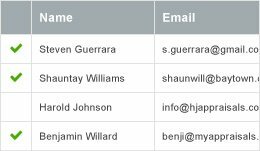 Unlike generic emails, its huge library of pre-written, customizable marketing pieces is aimed at specific non-lender niches. 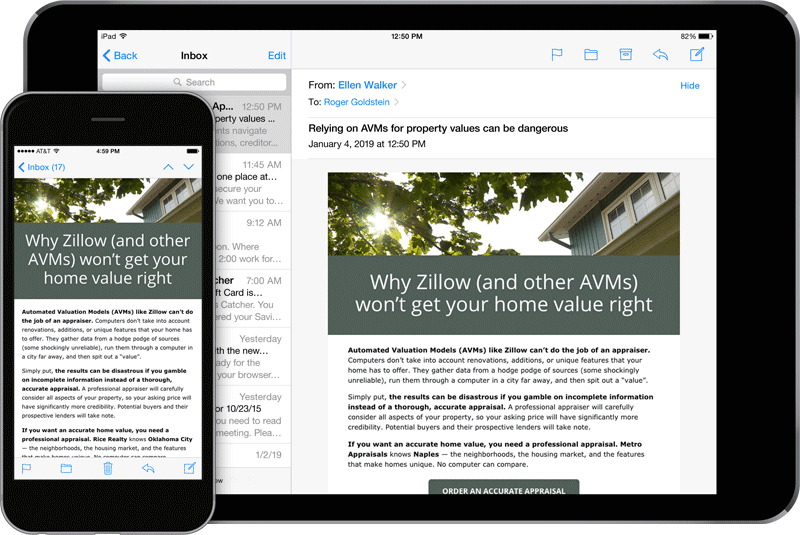 Send monthly emails to homeowners whose properties you’ve appraised in the past. Choose from a variety of messages targeting their needs or focus on one specialty like PMI removal, FSBO, etc. Showcase your specialties and professionalism (expert witness, estate division, foreclosure, etc.) or send an introductory message covering your broad variety of services. Send a professional thank you note after each appraisal, letting clients know you appreciate them. A few weeks later, ask them to refer you. Print flyers and door hangers to take with you on assignments. When out on an inspection, leave them on a few doors in the neighborhoods. That’s it! 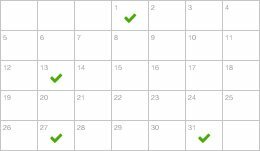 Your campaigns will go out automatically, and you’ll get a daily report to show success. XSellerate will proactively help you get new clients that pay higher fees. It’s counter-cyclical — when interest rates rise, causing refi and traditional mortgage work to decline, you’ll thrive thanks to work from attorneys, homeowners, real estate agents, financial counselors, and more. 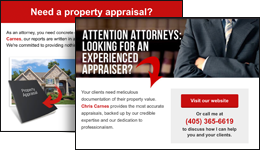 Appraisers consistently using our marketing tools have stayed busy despite the slowdowns. That’s because they marketed even when business was booming. It’s proven effective marketing that you won’t find anywhere else. Put it to work today. Start getting high-fee orders tomorrow. Try XSellerate free for 30 days, or get it today for just $299. With our 100-day money back guarantee, you have nothing to lose.